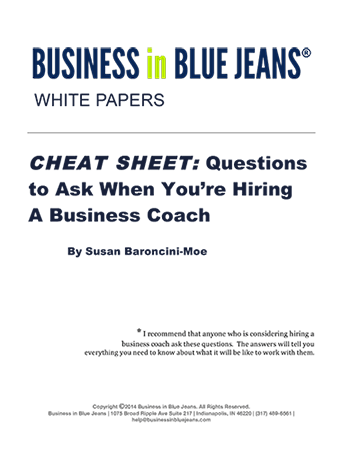 Hiring a business coach can be a challenging activity, especially with so many unqualified and untrained coaches out there promising the latest, greatest “magic bullet.” Instead, we recommend a sensible, practical approach to the hiring process, where you ask important questions to reveal what your potential coach really knows. The kinds of things a business or executive coach can help with. The kinds of qualifications and experience a good coach should have. Specific questions to ask a coach to get a sense of how s/he works and whether it’s a good fit. Recommendations for how to get the most out of coaching. The big red flags to look out for when you’re talking with a potential coach. Guidelines for success in working with a coach.